In the next few months, Florida International University researchers will be doing their part to prevent the kind of high-tech cyberattacks that could cripple financial institutions, disable major infrastructure or threaten national security. Six FIU students were selected to participate in cyberspace internships at Point Mugu Naval Base in Southern California and Georgia Tech Research Institute in Atlanta. 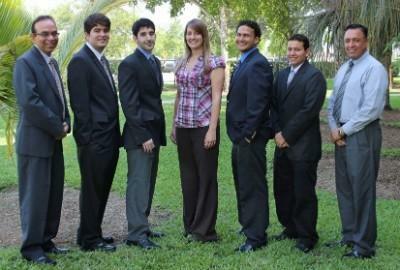 From left to right, Himanshu Upadhyay, ARC IT program lead, Christopher Lopez, Jon Carvajal, Tiffany Arrazola, Steven Lopez, Michael Garcia and Dr. Leonel Lagos, director of research for ARC. The Department of Defense plans to provide seed funding of $150,000 to FIU’s Applied Research Center (ARC) to launch a cybersecurity test technology program. The project’s goal is to develop new technology to help thwart cyberattacks and cyberterrorism. The agreement is a pilot project with the DOD’s Test Resource Management Center (TRMC), the agency that oversees DOD’s test infrastructure, and invests in technologies to test new military equipment, from fighter aircraft to computers, before it is deployed. The program includes four FIU student internships to be located at the Point Mugu Naval base in Southern California and two FIU student internships at Georgia Tech Research Institute in Atlanta. Lagos said FIU already has some researchers pursuing cybersecurity technology but the new initiative will allow scientists to step up their efforts and pool resources. If the project succeeds, FIU could potentially receive millions more for cybersecurity research in future years. FIU’s Applied Research Center came to the attention of the defense department through the work of an FIU alum now working for the Office of the Secretary of Defense. Alessandra Monetti, a Department of Energy Fellow, graduated with a bachelor’s degree in civil engineering last summer. Because of her work with the Applied Research Center, she was able to connect the right people at FIU to pursue the DOD partnership. The cybersecurity partnership will be patterned after the DOE Fellows program, which provides top minority students with hands-on research opportunities, mentorships and potential careers with the Department of Energy. Leveraging existing partnerships is one of the best ways to identify new opportunities for FIU students, said Irma Becerra-Fernandez, vice president for the Office of Engagement, which is working to boost student internships across disciplines. This post was reprinted with permission from FIU News. James Clapper, the director of national intelligence, went before the Senate Intelligence Committee on Tuesday in a bit of a sour mood. He led off complaining that he had to speak publicly at all. 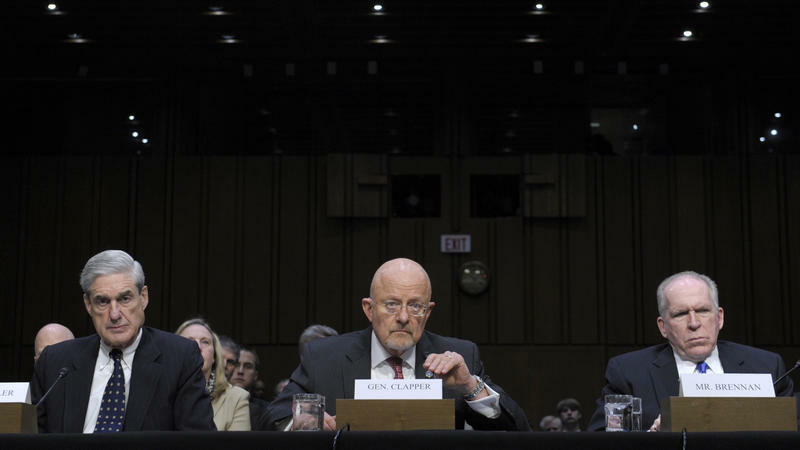 "An open hearing on intelligence matters," Clapper said, "is a contradiction in terms." And then, before getting to any international problems Clapper hit a domestic one: the spending cuts mandated under the sequestration package.